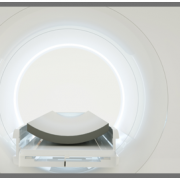 IMV’s PET imaging products provide valuable information about the PET imaging market in the U.S. In 2015, it is estimated that over 1.7 million clinical PET and PET/CT patient scans will be performed in ~2,380 U.S hospital and non-hospital locations in the United States. This represents an annual increase of -6% when compared to 2014 PET scans. Learn about PET procedure trends, market share for installed PET and PET/CT equipment, equipment purchase plans, radiopharmaceutical market share, and average pricing for F18DG from the PET Market Summary Report. Productivity of PET staff, procedures per unit of PET equipment and user satisfaction with their equipment providers are also available in one or more of the IMV products listed below.